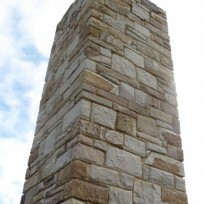 This stone tower sits just over five meters out of the ground. 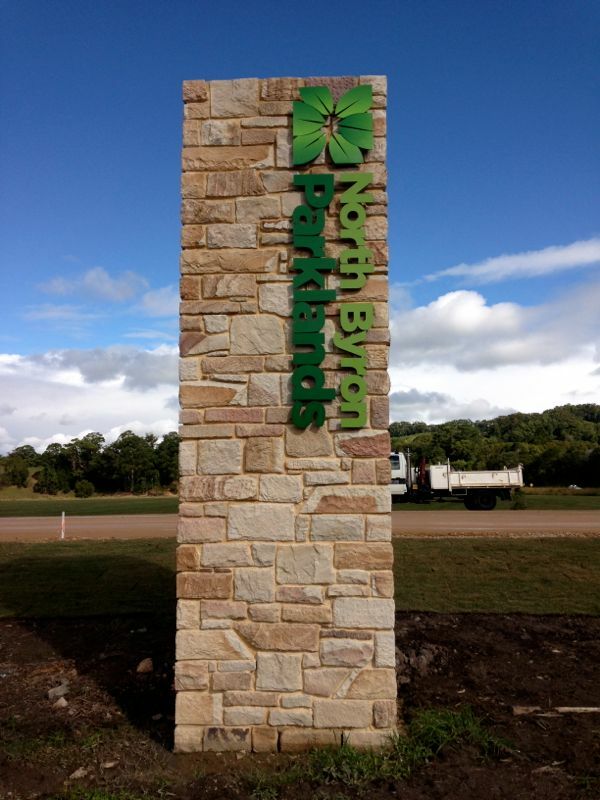 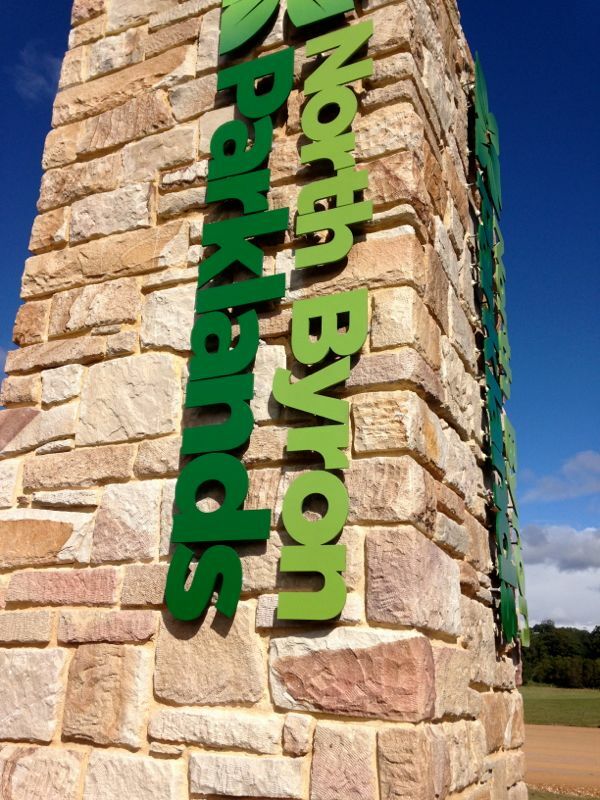 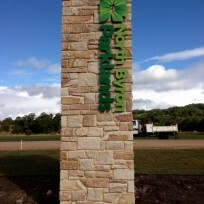 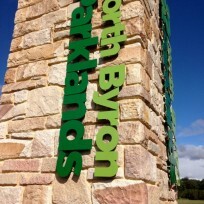 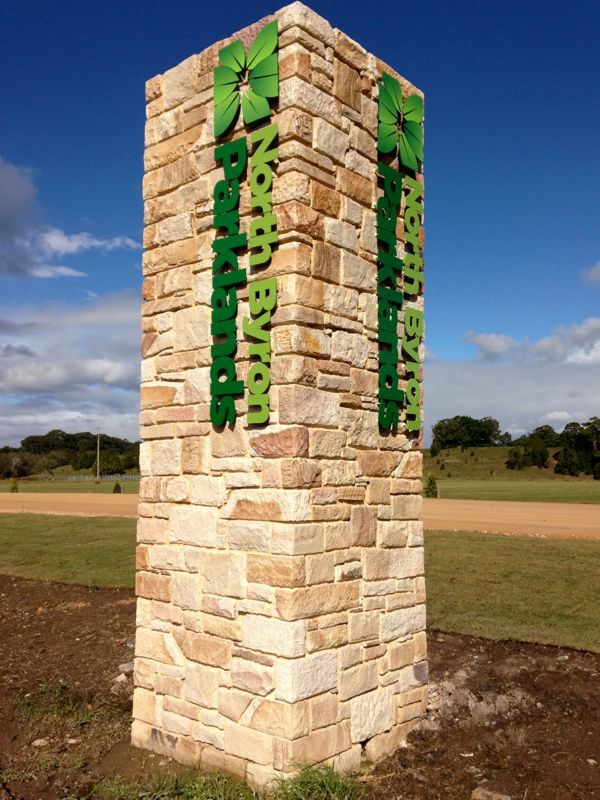 This is at the entrance to the new home of Splendour in the Grass. 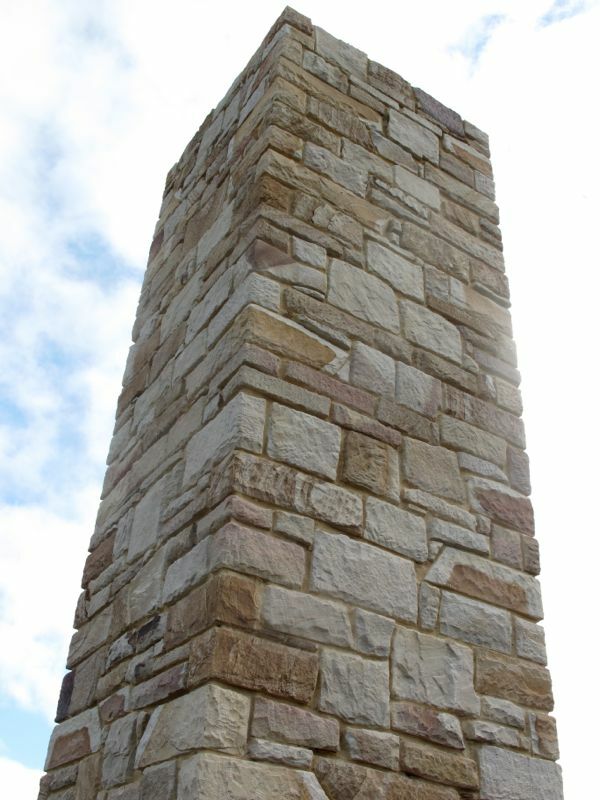 Constructed using Helidon sandstone, the veneer of the stone tower is 220mm thick and laid with mortar. 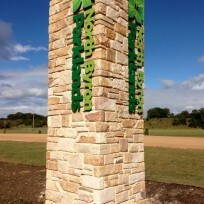 The stone tower was designed by David Mullen.